Over 16 million women and men experience rosacea annually and seek rosacea natural treatment. This inflammatory facial skin disease often causes reddening of the skin on the cheeks, nose and chin area. This flare-up of a rash or pimple-like appearance can affect one’s appearance and lower self-esteem. Blood vessels will sometimes swell on the face and may cause unattractive red spots. 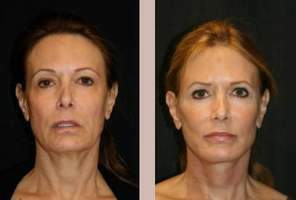 Many people will experience life disruptions and difficulties with personal interactions or work involvements, and opt to have rosacea treatments. Laser treatments may lessen the amount of redness and medications may also sometimes help, but many prefer to try natural at-home remedies, such as apple cider vinegar. 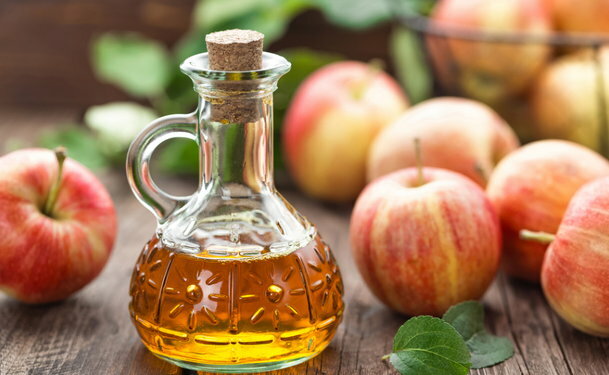 As apple cider vinegar is known to improve and balance the PH of the body, causing it to become more alkaline (having a PH of greater than 7 and a low concentration of hydrogen ions), it is believed that it may help with rosacea. Reports show that apple cider vinegar may increase the release of digestive enzymes normalizing the amount of bacteria in the intestines, allowing for bacteria balancing. Many natural and holistic experts recommend to mix 1 tablespoon of organic apple cider vinegar with 1 glass of purified water. Grape juice may also be used in the place of water. Some people with rosacea opt to use the apple cider vinegar as a toner after cleansing the skin. This substance should never be applied alone directly on the skin, as it may injure the skin. A mixture of two to one should be done, with two-parts of water to one part of apple cider vinegar. Apple cider vinegar can be taken orally in a tablet or liquid form, but a doctor should always be consulted before use.